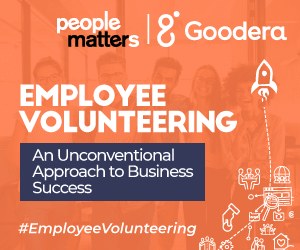 This guide will help you translate your employee volunteering program into a better workplace engagement. “I like my company, but we are not solving problems for the society. We’re not curing disease, addressing climate change or helping our country to achieve a better literacy rate. Our organization’s fulfillment comes from the momentum we build as a company by hitting new milestones: hiring a certain number of employees, achieving revenue goal, or bringing on new clients,” stated Rohan, a 27 year old IT engineer working in an MNC while he was having a conversation with his colleagues about how he felt about the organization. Time-crunched employees are increasingly looking out for purpose-driven work and making an impact to the business, people, and society. 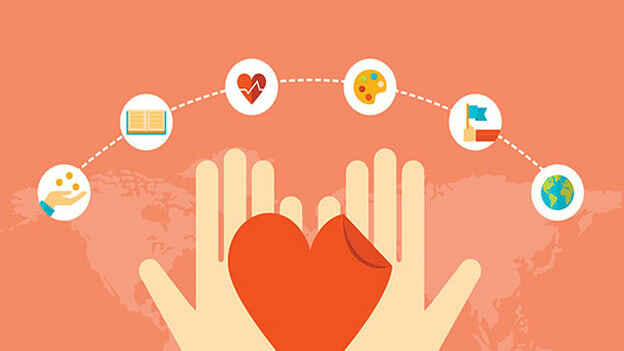 Time and again it is proved that volunteering is good for an individual's soul and provides many benefits to both mental and physical health. Now, it turns out that it is also useful for employees’ engagement and career. It creates a win-win situation for People, Planet, and Businesses. Learning & Development: A study by CIPD firmly supported a strong link between volunteering and employee development. Volunteers are benefited from accelerated growth by gaining alternative experience and new skills. Employee volunteering provides employees with opportunities to practice business-related skills in real-life situations, deal with the new audience, and to explore new sectors. Employee Engagement: Having a sense of purpose at work can help employees feel more engaged like they are a part of something bigger. Employers that can articulate and provide a strong sense of purpose may more effectively recruit potential talent and engage employees. Employee Emotional Well-being: Workplace wellness is not just about physical health improvements. While workplace wellness providers are dominated by diet, exercise, and mindfulness programs, innovative companies are looking at more engaging solutions that seek to benefit not only their employees and bottom-line but also the world. According to a study published in the International Journal of Psychophysiology, people who spent their time to help others through community and organizational involvement had higher self-esteem, less depression and lower stress levels than those who didn’t. Amplified Brand Image: Employee volunteering and corporate social responsibility affect a company’s reputation. The most important way that environmental, social and governance programs create value is by maintaining an excellent corporate reputation or brand equity. Gauging Employee Interest: Assess employees’ interests as they are the key stakeholders of this program. Once you receive the information, understand the community needs. Setting a vision: Document vision for the Employee Volunteering Program. Identify and include societal goals and outcomes that are to be targeted. Align them with the business goals of the company, industry, and sector. Setting objectives: Document the objectives you wish to achieve out of your employee volunteering plan. Decide on the kind of impact you plan to create through your program, identify beneficiaries, and stakeholders. Include a program structure and a governing mechanism. Aligning Leadership: Get buy-in of the senior leadership on the vision and objectives of the program. If possible, get pledges from senior leadership on their involvement. Additionally, align leadership with the recognition programs for volunteering. Sustaining the program: Reward and appreciate employees for their efforts. Also, keep on adapting to new situations and needs. Your program should be continuously improved to meet changing organizational and community needs by addressing feedback received from employees and community partners. Policy Statement: It consists of a vision of the program and the objectives you want to achieve out of the employee volunteering program. Start with a short statement about the company’s philosophy. It may also be helpful to include frequently-asked-questions, a document that helps you provide more details about where and how the employees should volunteer. Scope & Applicability: Identify the key stakeholders of the program - Leadership, Employees, Non-Profit Organizations, etc. Draft the protocols and rules for each stakeholder on their necessary code of conduct and share ideas as to how they can get involved. E.g., the guidelines for the employees will include ideas on how employees or teams can get involved, what rules they may have about service, tips on how to best represent the company during a service opportunity, etc. Partner implemented: Onboard a partner who has NGO tie-ups that can provide your workforce with multiple opportunities for volunteering. Volunteer time-off policy: Volunteer time-off is the specific number of hours per year for employees to volunteer in the community which is independent of the company-sponsored volunteer days and weeks of service. Decide whether you would want to allow some time from the weekdays or restrict it to weekends. Eligibility and approvals on causes, dates and time for volunteering, manager approvals on volunteering, etc. Guidelines on activities and roles of partnerships with NGOs and other implementation partners. Administrative support information like logistics, food, materials, etc. Health & Safety guidelines that include trainings, precautions, and approvals from leadership and other decision-makers. Plan a reward & recognition strategy at various levels and decide on the type of rewards, delivery, etc.